Mourão’s kinetic sculptures combine simple geometric shapes with the complex poetry of motion. 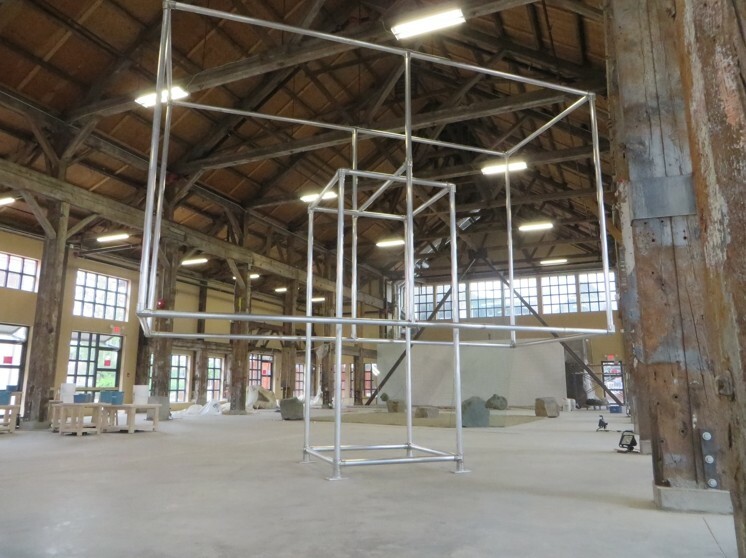 At first glance, as one walked around the two-part artwork created during his residency, the great metal cubes seemed to exist simply as minimalist sculptures. 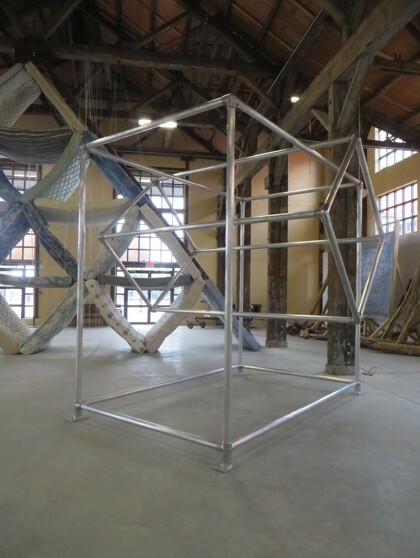 However, Mourão invited his audience to push traditional boundaries separating artwork and viewer and to physically thrust the work into motion. Like a perpetual-motion machine, Mourão’s immense sculptures customarily draw power from the tension of potential energy. 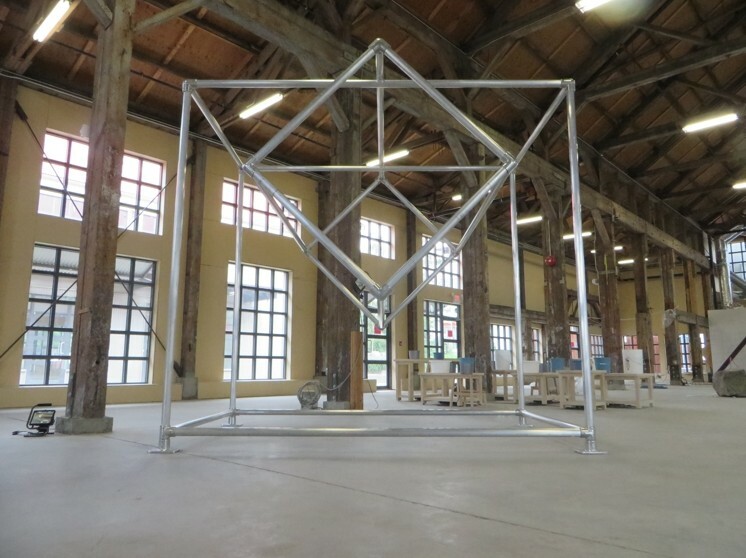 For the Vancouver Biennale’s 2014 International Pavilion the simple series of aluminum tubes provided a provocative study in contradictions—unyielding metal yet constant flux.